The White House is the official residence and principal workplace of the President of the United States, located at 1600 Pennsylvania Avenue NW in Washington, D.C. It has been the residence of every U.S. president since John Adams in 1800. The house was designed by Irish-born James Hoban and built between 1792 and 1800 of white-painted Aquia Creek sandstone in the Neoclassical style. In spite of a number of major renovations, the exterior walls are the same ones put in place more than 200 years ago. 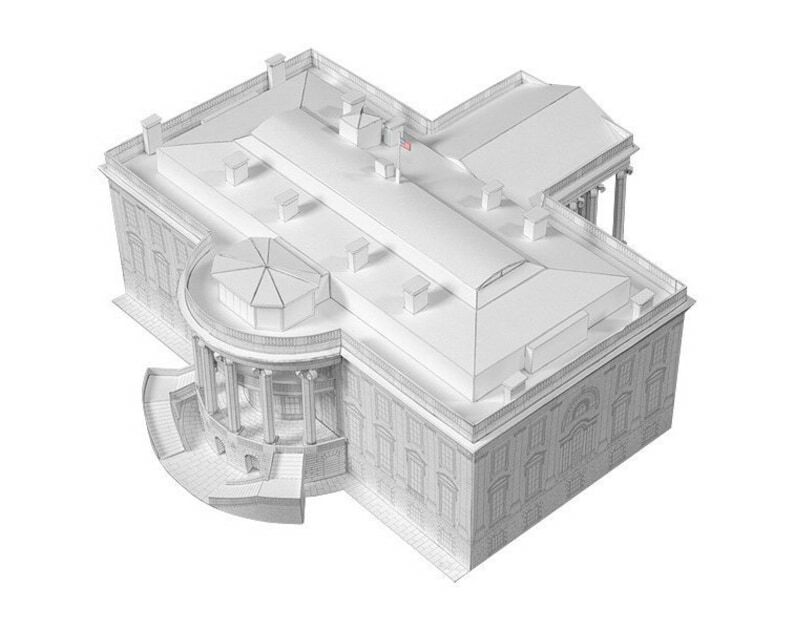 Enjoy building a 3D model of one of the most renowned historical buildings in the world in 1/200 scale. Are you looking for an architecture inspired gift? Making plans for a crafty holiday? Browse our shop to find ideas, we have artisan cardboard house kits of different challenge levels.